We offer you the ideal AC motor for any requirement: 2, 4 and 6-pole motors, with powers of 0.09 kW to 225 kW and in the efficiency classes IE1 to IE4. Give us and our DR.. series motors a try! With the DR.. modular motor system, we implement millions of drive combinations and move different systems and machines, worldwide. It is easy to find the ideal energy-efficient motor for your application at SEW-EURODRIVE. The DR.. series has a suitable design in its range for the globally applicable efficiency classes IE1 to IE4: DRS.. for IE1, DRE.. for IE2, DRN.. for IE3 and DRU.. for IE4. Select the power and frequency within this motor design and you have already taken care of the most important selection criteria. All other motor options are of course available independently of the efficiency class. A comprehensive braking concept and cost-optimized built-in encoders ultimately complement the motor range. The motors of the DR.. series comply with the most important standards worldwide and the various requirements of the local energy efficiency regulations. 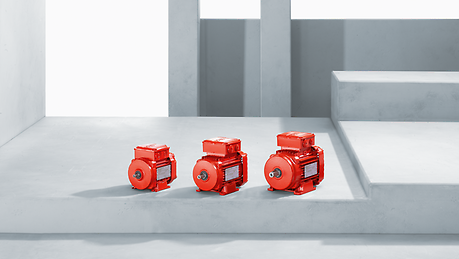 Motors of the DT56 and DR63 series complement the modular motor system in the range from 90 to 370 W.
Save time and optimize your motor selection, ordering and logistics processes. As a Global Player, we offer this range of products in 51 countries around the world. Only half the solution without a gear unit? Then use our sophisticated modular system and combine an AC motor of the DR.. series with a helical, parallel shaft, worm, bevel or SPIROPLAN® gear unit of your choice. All of these gear unit types are already available off-the-shelf, combined with DR.. motors as gearmotors. Of course, we also supply the right inverter technology for the controller and control. We develop and produce the drive electronics ourselves so that they are perfectly tailored to our motors and gearmotors, and to your application. as the DR.. series offers an appropriate design for each efficiency class and can therefore be used anywhere in the world. as the DR.. modular motor system makes millions of drive combinations possible for you - individually tailored to your requirements. 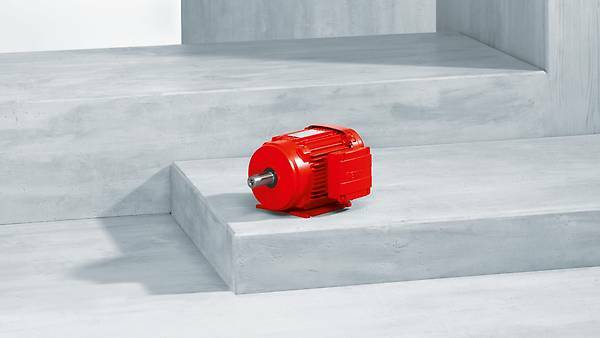 because our range of motors comprises 30 performance levels, which means there is a suitable motor for practically every application. The DR.. series offers the right motor for efficiency classes IE1, IE2, IE3 and IE4 in accordance with IEC 60034-30-1. The IE marking and efficiency as well as details on the available country approvals can be found on the nameplate. Regardless of the required efficiency class, all motor options and designs are equally available for all AC motors. The world is our AC motors’ field of application. A motor design is available for each efficiency class. And, in turn, each motor type can be connected to the different energy grids around the world. As of January 1, 2015, all 2, 4, and 6-pole asynchronous motors with a power rating of 7.5 kW or higher that are put on the market in the European Union, Switzerland or Turkey must meet the requirements for efficiency class IE3. Simple conversion to IE3 with the new IE3 AC motors of the DRN.. series: Small – compact – light.